Pucker up for perfect lips! Create your own lip look, from sheer and natural to bright and bold with our selection of lip pens, lip liners, and lip plumpers carefully selected by our salon stylists. 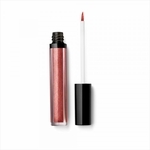 For lips that are luscious, combine the stylistic effects of our lip pencils with our lip lacquer to create the same super glossy, patent look you’ll get in our store. We only sell the same quality lip makeup that our skilled makeup artists use, so you know that you’re getting a look that lasts all day long. For a quick and fabulous look, use our plumping lip gloss to effortlessly apply a reflecting, moisturizing tone to your lips. 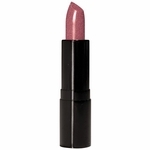 Rely on Cosmetic Cosmos for lips that are more than lickable. Our long lasting lip glosses, lipsticks and lip lacquers are used by our make-up artists, so you know that they are going to create that perfect pucker that you’re looking for. Each of our lip plumpers, lip gels, and liquid glosses use a super shine formula combined with a moisturizing mixture to create healthy plump lips time and time again. Copyright © 2006-2017 Cosmetic Cosmos. All rights reserved. This Manskin product is the only thing my husband will use! He just loves it!! Thank you for sending my products so quickly. I was hoping to get delivery by Saturday. I never expected to have the package by the time I got home from work! I think you and your products are great and I will continue to purchase from you.